I bought this book when it first came out because I absolutely loved Garvis-Graves’ book, On the Island. I hadn’t had time to read it, but then my book club chose it to read for the month of May. 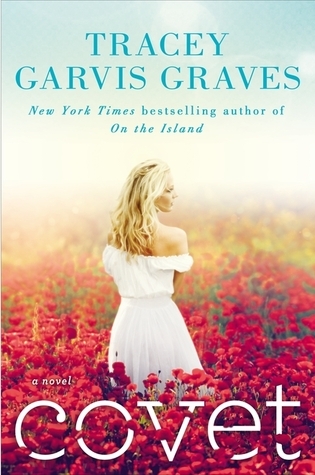 I eagerly anticipated getting lost in another intense story by Garvis-Graves and imagined that I would love the characters as I did in her first book. That didn’t happen. This book was a bit disappointing. The first half of this book was quite boring as it slowly, very slowly, painted a picture of a suburban couple, Claire and Chris, whose marriage was falling apart due to Chris’s emotional issues and unwillingness to communicate after losing his lucrative job and his inability to find another for over a year. Claire meets a good looking police officer, Daniel, and a seemingly innocent friendship develops as Daniel meets Claire’s emotional needs in a way that Chris refuses to. This sounds like a decent plot, full of possibility for conflict, but there really isn’t much. Even Claire’s internal conflict–there’s hardly any; she’s mostly in denial. One reason I found this book rather unexciting, I think, is because I am not really interested in suburban housewives’ first world problems, such as boredom, vodka lunches, and not getting to shop at designer stores, and there was way too much of that in this book for my taste. It seemed very Desperate Housewives to me at first (without the quirky characters and conflict), and I didn’t like any of the characters, but I’m glad I stuck with it because it did get better. However, one of the most annoying things about the book to me, and this is just a matter of taste, was the present tense narration. I find books written in the present tense very awkward, and because of this, I am constantly reminded that I am reading a story rather than experiencing the characters’ lives. Maybe it’s just because I am used to being told a story in the past tense. I’m not sure. Also, I really did not enjoy the first person alternating points of view. Most chapters were Claire’s, but every once in a while, we would get the perspective of Chris or Daniel. There was not enough from them to feel like I really got to know them, and I think it would have been better just to stick with Claire’s point of view if the others’ perspectives weren’t going to be well-developed. For me, this is what really interfered with the character development. Garvis-Graves’ character development in On the Island was probably my favorite thing about that book, but Covet really lacked in this area. It was not until after the first 200 pages that I actually began to have sympathy for Claire, and strangely, this sympathy came not from her own point of view, but from Daniel’s. And even then, it was through her dialogue and actions with Daniel that I started to care more about Claire, and the same was true for Daniel. When Claire spoke in the first person about her feelings, I was left cold and emotionless. They didn’t ring true for me, or somehow, she just didn’t seem like a real person. I felt the same thing when I read Daniel’s perspective. He seemed like an opportunistic creep when speaking in his own perspective, but seemed better in conversation with Claire and in his actions toward her. However, I never cared one whit for Chris, Claire’s husband, and for the remainder of the last half of the book, I just wanted her to divorce him. His perspective was always incredibly brief and uninformative. I felt like the author didn’t even know who he was, so how could I? And his behavior toward Claire just seemed childish and selfish. The author did not do an adequate job of making Chris sympathetic or justifying his behavior enough to make me want to see them work things out, or even care, for that matter. As for the minor characters, too much seemingly irrelevant information was given about them that just seemed superfluous. The most interesting thing about the book to me was Claire’s Type 1 Diabetes. More than just a plot device, it made her a little more real to me. In addition to Claire’s diabetes, I liked the realism in which the gradual shift from friendship to romantic feelings that Claire and Daniel shared was portrayed. This made the whole book worth reading. Although Claire should have clearly known better than to become so close to another man if she wanted to save her marriage, most affairs do start out this way. I did end up kind of liking this book because I did like the message. This book clearly demonstrates the need for one’s spouse to be one’s best friend, to look for that companionship, conversation, emotional connection, and comfort from the person who should be closest. We need to constantly see our spouse as our best friend and share those things that we wouldn’t share with anyone else. We need transparency and vulnerability if we want true intimacy. Garvis-Graves did an excellent job of showing this in Claire and Chris’s life together.